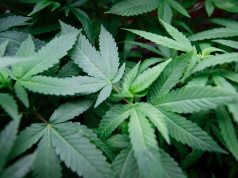 SAN FERNANDO, Calif. – Colorado is soon to be the 15th state to allow the use of marijuana for PTSD. Last Thursday, the State of the House passed the second reading regarding allowing doctors to prescribe marijuana for PTSD treatment. Patients under 18 years old, along with the veterans, should ask the doctor’s prescription before they can get pot. “On this auspicious day, we’ve got a dangerous bill,” said the bill co-sponsor Sen. Jonathan Singer. There’s no cure for PTSD. Exercise routines, medications, diet programs, and therapy sessions are no silver bullets. Moreover, Colorado has one of the highest suicide cases in the country, according to research. Military veterans are the primary focus of this bill because they are the ones who get this disorder. Most veterans have PTSD after getting out of the military due to their experiences while they were still serving the country. But the topic of using marijuana for PTSD patients under 18 years old took the stage on Thursday. The State of the House had an evaluation on whether or not they should let minors with PTSD take marijuana to cure their illnesses. Before the second reading, the sponsors of the bill had a meeting with concerned parties. These include pediatricians, psychiatrists, and physicians. The purpose of the meeting was to create an amendment that would compromise both the patients and the doctors. In the said bill, every PTSD patient must have one or two physicians. It can be a licensed family physician, a pediatrician, or a licensed child and adolescent psychiatrist. However, a counter amendment was proposed on Thursday. Rep. Timothy Leonard, who sponsored the mentioned bill, said that marijuana could affect the brains of children. Moreover, he is alarmed about the increasing opioid addiction rate among teenagers. According to the government’s research, 40 percent of teens have tried weed. Twenty percent of them are current users, and 10 percent tried it before they reached 13. Meanwhile, tobacco consumption has increased among college students. Still, children aged 12-17 years old believe that marijuana is safe to take. Earlier this year, the American Academy of Pediatrics gave a warning about the effects of cannabis on children. 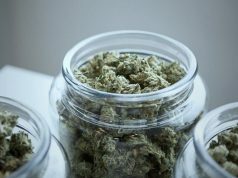 According to research, the use of marijuana for PTSD patients could affect the memory and the brain’s ability to plan. The frequent use of pot could lower the IQ level and could lead to addiction. Nonetheless, not all teen users developed an addiction. It still depends on the user’s genetics and other factors. For this reason, The National Academies of Sciences, Engineering and Medicine called for more marijuana PTSD medical research. 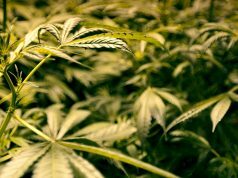 Despite conducting multiple studies on marijuana, they want to know how cannabis can affect a developing brain and other areas. Rep. Leonard didn’t want this to happen. He didn’t want to use children in experiments; hence, the proposal of the counter-amendment. However, Leonard failed, and the House is one step closer to allowing marijuana for PTSD. All they need to wait is for the Senate’s final approval. Meanwhile, Leonard’s worries were repeated by Dr. Jennifer Hagman, a child psychologist. According to Dr. Hagman, the conversation about medical marijuana is surfacing around Colorado. She added that she’s also optimistic and enthusiastic for the progression of the study. She even mentioned the latest Senate Bill 275, which would let cannabis growers and sellers use their crops for research. 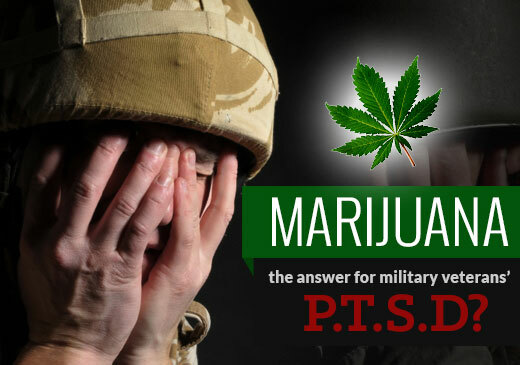 Colorado has rejected medical marijuana for PTSD treatment multiple times. The last request to add PTSD as a qualifying disorder was in 2015. The said petition was filed by four veterans and one sexual assault victim. But like any requests, the Colorado Court of Appeals rejected the request. However, the Senate Bill 17, which allows veterans and children to use cannabis for treating PTSD, is another story. Compared to its previous petitions, this one has experienced smooth sailing. Earlier this year, the bill was cleared by the Senate Committee, allowing PTSD to be in the medical marijuana list. It got a unanimous vote from the senators. A few days later, it got a 34-1 vote from the GOP. Last month, the House’s voted 8-1 to move the bill to the House floor. The patient’s PTSD diagnosis must come from a board-certified mental health professional. Parents who live in Colorado must write a letter of consent to the state health department. The letter must ask for permission to use marijuana dosage for PTSD. The parent must also include his/her name and ask if he/she could be the caregiver of the patient. The patient must build a real patient-doctor relationship. This means that the resident physician must have a full evaluation of the patient’s physical examination and medical history. Minor patients must receive PTSD diagnoses from two doctors. One of the physicians must explain the risks and benefits of marijuana for PTSD to their parents. However, this is only implemented if they reside in Colorado.